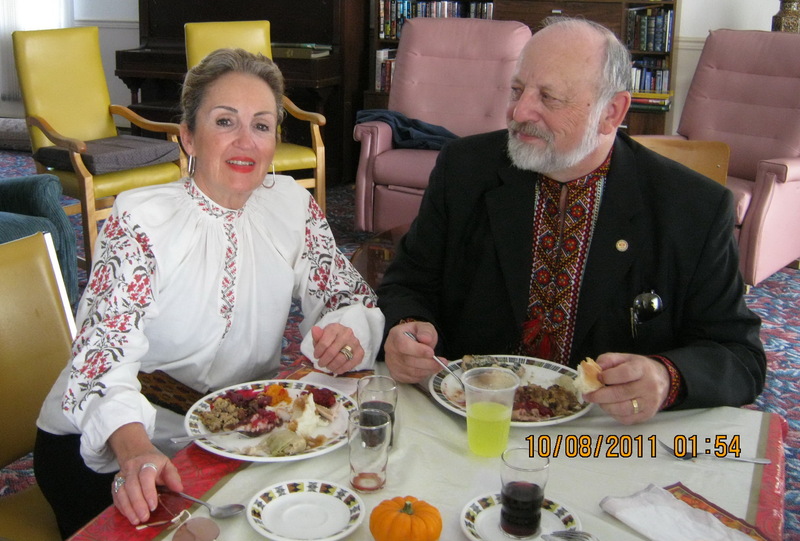 Pysanka Ukrainian Music Hour, the toe tapping Ukrainian music program, introduces new features to its website. These new features include a QR code linking to a mobile optimized landing page, along with new two hour playlist selections. Tune in now for toe-tapping, lively, Ukrainian heritage and cultural music with live streaming and broadcast from Pysanka Music Hour. Pysanka Music Hour is produced and hosted by Eli Tatarin, out of Kelowna, British Columbia, Canada. Pysanka Music Hour is a 2 hour Ukrainian Music program airing every Sunday, from 6 to 8 pm PDT. The program started to broadcast live on the internet Dec. 07/2010. The Ukrainian music that is aired is from Ukrainian Canadian Bands, varying from the past to the present. The music is from Ukrainian Bands that are on vinyl LP’s and cassettes, as well as CDs. The music is toe-tapping fun for all age groups of people with an appreciation for Ukrainian Heritage. Different bands are featured once a month. Each music program has a complete play list of music selections, which can be printed off so that listeners can follow along with the program. Ukrainian music classics from bands include: instrumentals, folk music, Ukrainian roots music, Ukrainian heritage music, Ukrainian culture in music, Ukrainian dance music, and Ukrainian holiday music. The mix includes everything from polkas, waltzes, and fox trots, plus other dance music that is played by Ukrainian Canadian Bands. There are many great Ukrainian bands. Here are some that are played on the Pysanka Ukrainian Music Program: Mickey and Bunny, D Drifters Five, Ron Lakusta and the Diamonds Band, Northern Troubadours, Royal Lites, Interlake Polka Kings, Albert and Albert Billy, Joe Hrycuyk and the Starlites, Johnny Bilyk and the Serenaders, Jimmy Watsko and the Lumber Jacks, Millenia, Ukrainian Connection Band, Female Beat, Molodtsi, Canadian Rhythm Masters, and Prairie Crocus. The full article is on the Pysanka Music Hour website. Eli Tatarin believes that this type of music programming is necessary to help keep the Ukrainian heritage and culture alive. It is through this media that Ukrainians can receive info on new music from today’s bands. The program promotes special events happening locally and provincially. The program is in both English and Ukrainian. 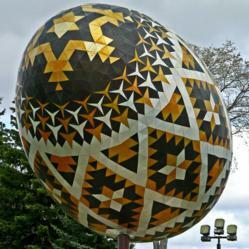 Pysanka Music Hour is aired every Sunday for two hours on internet radio, through BlogTalk Radio, and live streaming. Listeners will find program archives for the last six months. The web site is http://www.etsbest.com/Pysanka_Music_Hour.html or http://qr.gl/m/eli. On the website, there are direct links to the current Pysanka Ukrainian Music program, archived programs, Google map, YouTube videos of Ukrainian events, Twitter, direct email to the program, Android applications, plus a Direct Link to the website. This program is available to any radio station wishing to carry it on their network. Our Ukrainian Heritage - Our Ukrainian Music.